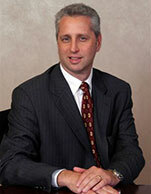 Robert Lustrin is a Partner in the Capital Markets Group at Seward & Kissel LLP. Since 1994, Mr. Lustrin has dedicated his practice primarily to the capital markets activities of shipping and offshore companies. Transactions in which Mr. Lustrin has been involved include the initial public offerings of Euronav NV, Dynagas LNG Partners, Ardmore Shipping Corporation, DryShips Inc., TOP Ships Inc., Eagle Bulk Shipping, Aegean Marine Petroleum Network Inc., Nordic American Tanker Shipping Limited, Knightsbridge Tankers Limited, Arlington Tankers Ltd., Diana Shipping Inc., Omega Navigation Enterprises, Inc., TBS International Limited, Aries Maritime Transport Limited, Genco Shipping & Trading Limited, Goldenport Holdings Inc., and Ultrapetrol (Bahamas) Limited. In addition, Mr. Lustrin represents shipping and offshore companies in high-yield and convertible debt offerings. Mr. Lustrin also works with many of the firm's clients in connection with consent solicitations, exchange offers, mergers and tender offers, as well as securities law compliance matters. He is a frequent speaker at shipping industry conferences on the subject of U.S. securities law and regulation, and has published papers on issues relating to U.S. securities offering rules and project financings.